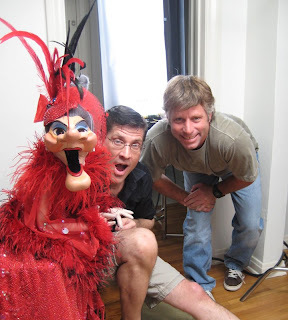 We are thrilled to be filming a new pilot with a puppet named Madame! 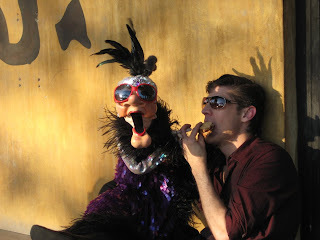 Some of you may remember her from Solid Gold, Laugh In or the Hollywood Squares - well....she is back and she is back with the same quick and sometimes naughty humor. 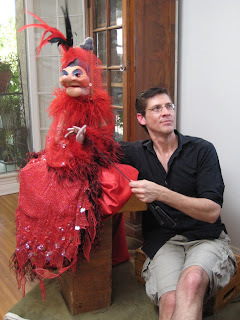 We are working with an original puppet - she is amazing and I must say that her mate Joe was spectacular!!!!!! 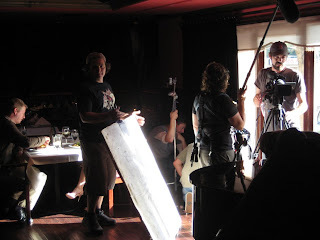 Filming was awesome, today went off without a hitch and we actually finished early! I am dog tired and my belly hurts from laughing. 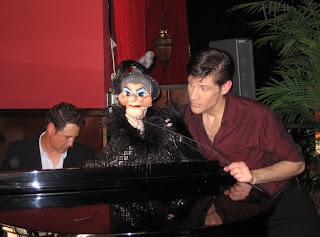 David plays the "Winehouse" as Madame sings a tune. Look close and you can see Eddie, Steve and Jenn. This is so great! 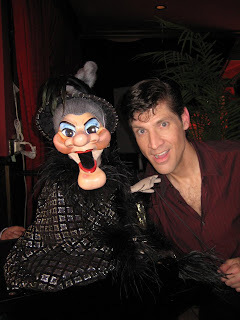 I have often wondered what happened to Madame. She is fabulous! I'm glad ur bringing her back. I missed her. ps loved the video! she's so funny!